We were privileged to host the entire marketing group from one of Israel's top Internet companies, Conduit, for a night of team building under the stars. 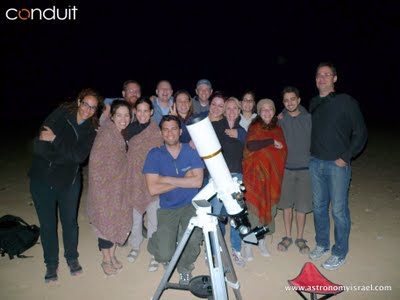 The entire marketing team was in the Negev for a day of team building activities, culminating with a night of star gazing with us in Mitzpe Ramon. It was warm, and cold, at the same time as you can see from the photo. It was challenging to keep 14 Internet marketing mavens on the same page, but with Rykkei's and Ziv's help, I think we managed to keep everyone together. If you have a corporate group interested in team building activities in the desert, give us a call! The Conduit marketing team enjoys a night of team building with Astronomy Israel in Mitzpe Ramon. 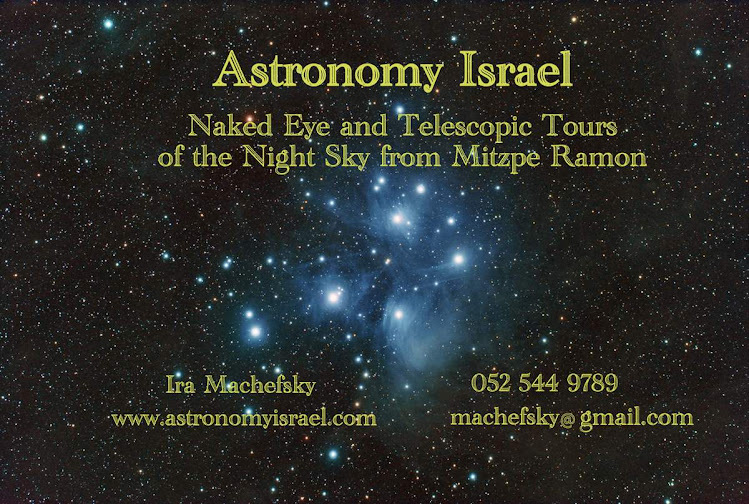 Did You See Us in Today's Jerusalem Post?